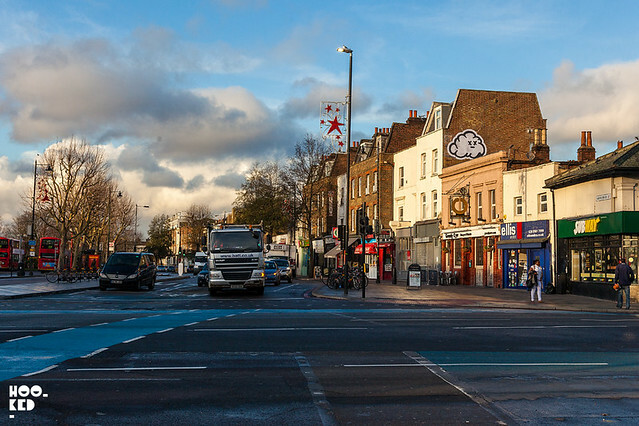 We are less than a week into 2016 and already seen lots of new street art works going up right across London from Shoreditch to Camden and Tooting. 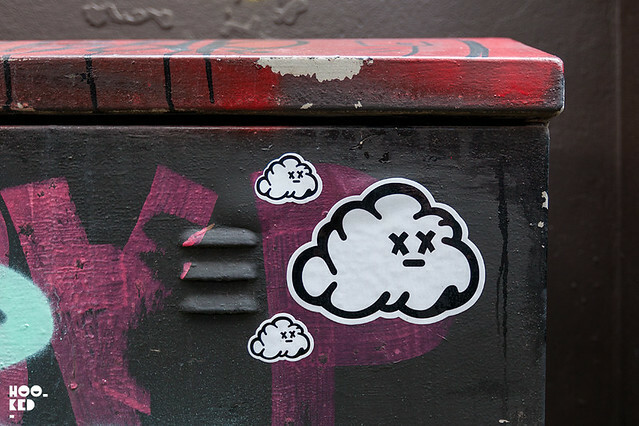 Hookedblog have already shared a series of new pasteup works installed around Shoreditch from London artist A.CE (covered here) and we have since discovered new paste-up works and stickers from artist MyneAndYours. Myneandyours is an illustrator and street artist who was born and raised in the UK to Iraqi parents. The artist now resides in Dubai but has been a regular visitor to London installing work on each of his visit to the city. We last saw work from MyneAndYours on the streets back in July of last year when he was in London assisting French Tunisian artist El Seeds on his mural commission on his village Underground for the Shubbak Festival (covered here). 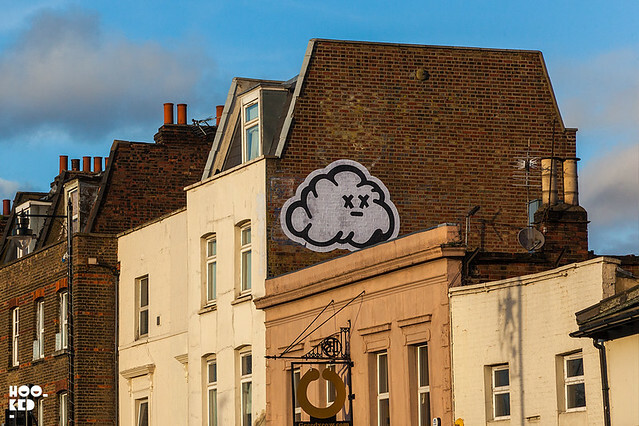 On this occasion the artist took to the skies with his cloud characters hitting up a London rooftop with a large scale pasteup in Mile End as well as installing a number of smaller pieces around Shoreditch. 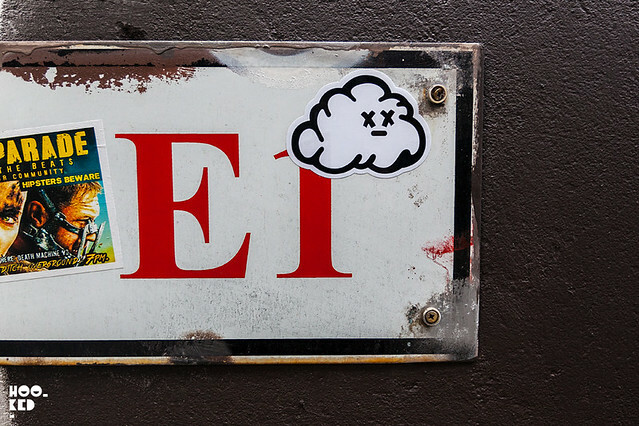 Myneandyours also installed a piece outside one of our local East End boozers The Golden Heart pub, a favourite hangout with artists but the short lived pasteup was removed before we could photography the piece. Below is a photo Myneandyours took of the removed piece which he shared on his instagram account. For more on MyneAndYours, have a look at this short film below from early last year produced by Thomas Simon.The film is part of a series of film portraits called Art Of One with the aim of unearthing the stories and inspirations behind some of the most exciting artists based in the UAE.